The more I think about it, the more convinced I am that I was not as musically open minded as I thought I was in the early part of 1985. While I make no justification for this, I do think the reason might have been that I was in longing after the wave of heavy metal that was played on commercial radio throughout 1984 became non existent in the early part of the following year. 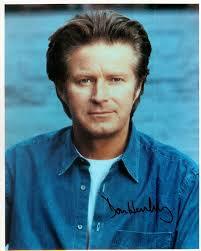 That was probably why I poo-pooed the “Building the Perfect Beast” album from Don Henley. Being honest, I was in Eagles mode (even though they had split up five years earlier) with not just Don but all former members of this iconic band. I expected all of their solo material to resemble the classic “Hotel California” and the singles from this album didn’t do that. So, I ignored it until a friend lent it to me and I had a listen. Then I realized what I fool I had been. Sure, the big single “The Boys of Summer” doesn’t sound like “Hotel California” but the musicianship on the song is simply fabulous. There is some great guitar work from Tom Petty and the Heartbreakers guitarist Mike Campbell and Don’s voice is clean on this and all of the tracks. I have really come to like this track in my later years. Upon further reflection back to 1985, I think that I put music into categories of heavy metal and synth pop. “Building the Perfect Beast” not being metal, I put it into the other category. Again I say “Fool!” at least to myself anyway. There is absolutely nothing synth pop about this album. If anything, there are tracks that take me back to The Eagles more country rock sound from the early 1970s. Tracks that bear evidence to this are the fast paced “Man With a Mission” and my vote for hidden gem, “You’re Not Drinking Enough.” For some reason, that track reminds me of the Eagles’ classic, “Take Me to the Limit.” But it does say “Early Eagles” all through the song. Thinking back to early 85, at the time I was dating a woman who had a drinking problem and now I’m linking this song with that. “Not Enough Love in the World” is another example of what I am trying to talk about. In fact this track would have fitted perfectly on the Eagles’ “Long Road From Eden” album. One reason for why this album sounds as good as it does is that Don got a load of well known singers and musicians to guest on it. While you know it is definitely Don Henley on every track, these guests, have a look below to see who, add to the quality of the album for sure. 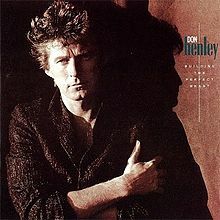 Brian Dear, I owe you a thanks for giving me this classic Don Henley album to listen to. Otherwise, I would have been enslaved to my ignorance that “Building the Perfect Beast” was another 80s synth pop album. It is clearly not and full marks to Don for it. Cause and effect here: From what I remember, the third album from The Go Go’s received hardly any radio airplay although the first single, “Head Over Heels” got a decent video play on MTV. That is the effect, the cause was because I think “Talk Show” is the best of their three albums in the early 1980s. They had matured as a band by this album and while the music is still in the pop-rock, new wave vein, their playing had really improved and why it’s my favourite Go Go’s album. Of all five ladies who comprised the band, the one whose musicianship really struck me was that of lead guitarist Charlotte Caffey. 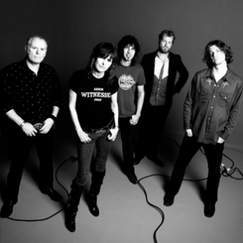 I’ll be the first to admit that she doesn’t hold a candle to Girlschool’s Kelly Johnson in the female lead guitarist sweepstakes, she does some okay solos on the tracks. 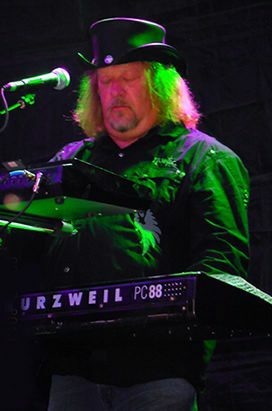 “Turn to You,” “Beneath the Blue Sky” and “You Thought.” She also plays keyboards and her best efforts if probably on “Head Over Heels.” Fair play, Caffey is a very underrated musician for sure. 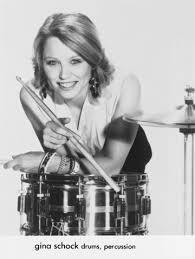 Speaking about underrated, I think that drummer Gina Schock is much better drummer than what she’s given credit for. All drummers reading this are welcome to comment here. Actually, I think “Talk Show” is heavier than their previous albums, “Beauty and the Beat” and “Vacation.” The songs I mentioned in the previous paragraph are all fairly hard. Not metal but they are hard enough to be a step up, “Turn to You” especially. “I’m the Only One” is even harder though. It almost explodes onto you at the beginning and that is kept up throughout the song making it the hardest rock song on the album. 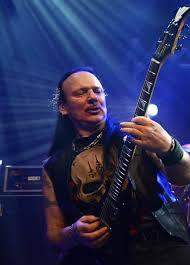 Plus, it has Caffey’s best guitar solo. Okay, it’s my favourite track on the album. “Capture the Light” is pretty good as well and “Mercenary” is a cool closer that gives further support to my feelings in Gina Schock’s drumming. 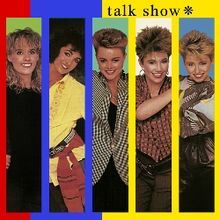 It is possible that “Talk Show” being my favourite Go Go’s album was why they broke up after it. I hope it’s not the case but after 1984, the Go Go’s would be no more. Lead singer, Belinda Carlisle would have a successful solo career towards the end of the decade, (I’ll cover those albums in due time) and Jane Wiedlin would have a couple of hits but for me, she’ll always be Joan of Arc in “Bill and Ted’s Excellent Adventure.” Still, the end of the road for a band that was just discovering how good they could be. Owing to a heavy work schedule over the past few days and going to visit family tomorrow, I’m afraid I won’t be getting two posts out this week, my apologies. 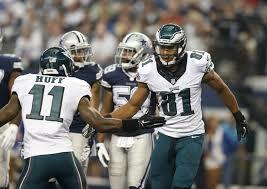 Although I do have to share some blame because instead of getting on the computer on Monday evening, I decided to watch the recorded Eagles-Cowboys game and seeing the way the Eagles played this week, I would have been better off posting on here. I was still not tired of listening to The Go-Go’s debut “Beauty and the Beat” album in June of 1982 when browsing the record section at the PX in Rota, Spain, I discovered that they had put out a second one. I made a mental note to get it once I returned to the States a few weeks later, although I didn’t need to because my sister had recorded several songs off of it. My reaction was that it pretty much sounded like the previous album while at the same time being rather good. 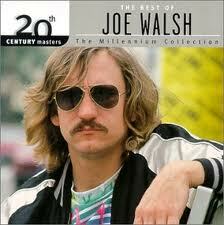 Keeping with the trend of 1982, “Vacation” begins with the hit single which is also the title track. It’s not a bad song, probably what you would expect from a single, quite lively. It’s the songs that come after it that tingle my interest a bit more. The very next track, “He’s So Strange” has a lot more substance to it and is quite a good listen. It sounds as if they are at least trying to venture forth a little and be creative. 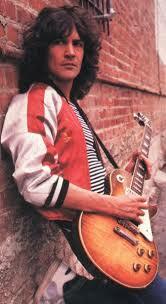 With several of the other tracks, there is a strong guitar start to the songs. At least The Go-Go’s were trying to be a little hard rock. “Girl of 100 Lists,” “Everything But Party Time” and “Beatnik Beach” are examples of this and the closer, “Worlds Away” does an excellent job in concluding the album. There is one thing I found slightly disappointing and that is the fact that there is not one memorable guitar solo from Charlotte Caffey on the album. I don’t know if that was down to her or other things. I mention this because I always believed that she was the most musically talented of the group. 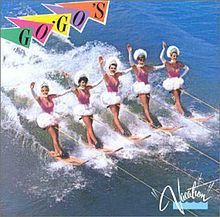 Still, “Vacation” was still an enjoyable album while The Go-Go’s still managed to excite my then 21 year old hormones. While The Go Go’s were able to build on the success of “Beauty and the Beat” with “Vacation” for some reason, they would go into obscurity after this album. I don’t know why because the second album is certainly likeable. Janis Joplin and Grace Slick for the first queens of rock in the 60’s and in the 70’s came Ann and Nancy Wilson who were arguably the first modern rock chicks. In the later part of the 70’s and early 80’s we had such great ladies like Pat Benatar, Chrissie Hynde and Debbie Harry. All of these women were rock queens in the true sense and their contribution to music will always be remembered. 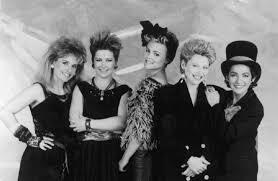 In 1981, two all female bands made their way into the spotlight, The Go-Gos and Girlschool. While the former had a more commercial rock sound, the latter was straight forward heavy metal and stood alongside of many of the NWOBHM acts that were coming out that year. However, these two weren’t the all female bands who could blow speakers with great power chords. Before them came The Runaways. 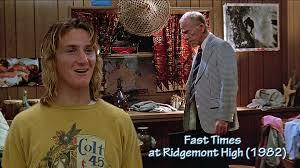 I had heard of The Runaways even before the film that came out a few years ago. Even at the tender (small chuckle here) age of sixteen, I was enamoured with these fine ladies who played such aggressive music. I did listen to their debut album and liked it. Likewise, I wanted to listen to their second one “Queens of Noise” but never got the chance. Must rectify that in the future. While, I never heard any of their songs on that cheap AM radio I had back then, they toured extensively and played many sell out concerts in the US and Japan. 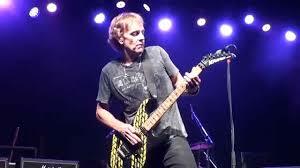 Furthermore, the likes of Tom Petty and the Heartbreakers, Cheap Trick and Van Halen supported them. Unfortunately, accusations of mismanagement, rows over money and direction plus several personnel changes lead to break up of the band. While The Runaways may be no longer, the members are still around and making themselves known. 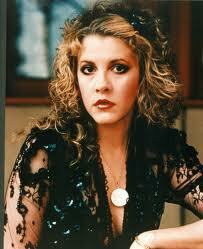 One of them would dethrone Pat Benatar as the queen of rock in 1982 and possibly become the first metal queen. That one is up for debate. 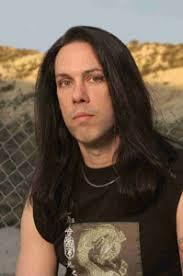 Another ex Runaway would also make a huge splash in heavy metal circles nor would some of the other former members remain completely silent. Almost silently, these ladies would go onto to be an influence on heavy metal and I think the all female metal bands that would spring up less than a decade later can look to them for inspiration. Don’t take my word for it, watch the film and listen to their music for yourself. Throughout the twenty eight years I have lived in the UK, there has been a lot of back and forth banter between my country of origin and my adopted country over which country did what things better. There are some things that each country will always do better than the other like the UK will always be better at cricket and the US will always be better at American football. In the world of music, neither country has been able to hold dominance over for very long. However, in 1981, one area where the UK outshone the US was in the category of all female bands. The US had The Go Gos who weren’t bad as far as rock bands go but they didn’t hold a candle to the UK’s female metal outfit Girlschool. 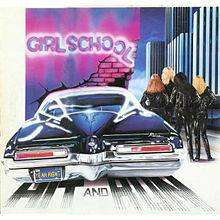 Their 1981 album “Hit and Run” is precisely the reason why Girlschool reigned supreme of all female music acts that year. They gave many of the male acts a good run for their money as well as they proved they could rock with this album. This is evident with the very first chords in the opening song “C’mon Let’s Go.” A great song that gets things going. 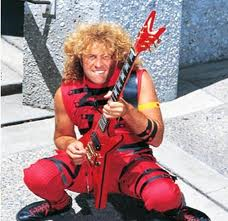 Those who don’t truly appreciate metal complain that it’s the same two chords going over and over and if they were to listen to “The Hunter,” they would site this as proof. My response is that yes, it might be the same two chords but what two great chords they are. They certainly capture and hold my attention even throughout the vocals and guitar solo, so who cares? “(I’m Your) Victim,” “Kick It Down” and “Follow the Crowd all move the album along very nicely until something very interesting happens. Of all the songs, that I would like to hear metalized, ZZ Top’s monster tune “Tush” never occurred to me. 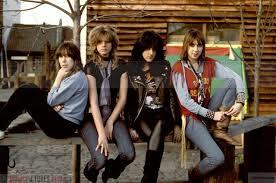 I feel a fool because Girlschool metalize this song very well. After “Tush,” things kick up a gear and stay there for the remainder. The title track has always been my favourite Girlschool song and I was disappointed that they didn’t play it either time I saw them live. Maybe one day, I’ll get to see them again and they will play it for me. One can hope. However, another song I have always liked is the pen ultimate “Yeah, Right.” This is a song that you want playing on the stereo before going to any metal event, a definite uplifter. 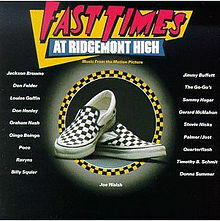 The two tracks in between “Hit and Run” and “Yeah, Right” are also good jams and things go out very well with the closer “Future Flash.” In short and I don’t care how cliched this sounds but with “Hit and Run,” Girlschool proved they could play with the big boys. I’ve realised that for many years I have taken for granted all the great albums that came out in 1981. To have so many great bands put out so many great albums in the same year is something truly phenomenal and there’s still more to come. Girlschool can stake their own claim to the year with “Hit and Run.” In spite of what I said about it when I posted on the album not long ago, “Hit and Run” beats the pants off The Go Gos’ “Beauty and the Beat” and that makes these fine ladies the best female artists of 1981.